Omg! 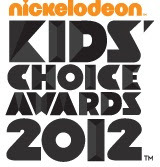 Our very own Charice is nominated as Favourite Asian Act in Kids’ Choice Awards 2012! The “Favorite Asian Act” is an Asia-specific award .It only appears on the Kids’ Choice Awards’ Asia website. Please vote for Charice Pempengco, kindly click here. You can vote as many times as you like, so keep voting for your favorites!